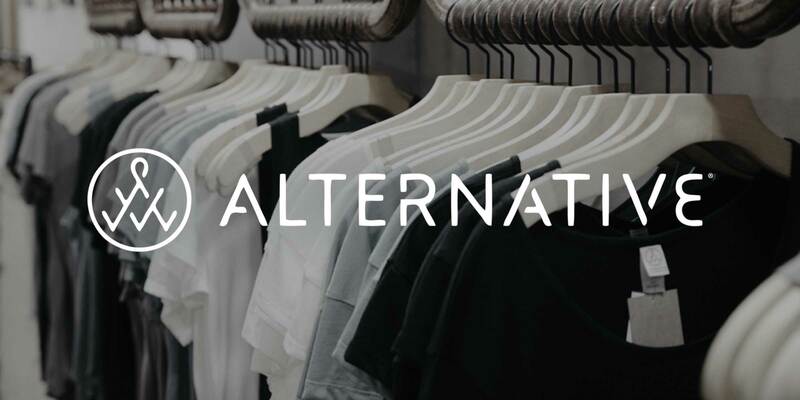 Welcome back to the third blog in our five-part series starring Alternative Apparel’s CEO, Evan Toporek! NuORDER’s CEO, Heath Wells, had the chance to (virtually) sit down with Evan and discuss sales strategy, how the retail industry is changing, inside sales as a big growth area, the importance of going digital, and strategies for successfully running an apparel brand. In our first blog post, Heath and Evan discuss sales planning, forecasting, tracking and growth in retail. In our second blog post, they speak about what’s going on in retail today, how brands can deliver growth, and insight on trade shows. In this post, Heath and Evan continue their conversation on delivering growth, and chat about the importance of inside sales and the key qualities of a strong sales leader. Heath: At this point, we know your thoughts on trade shows and how important the prep work is going into them if you want to see meaningful results. What other strategies do you think have helped Alternative grow into the brand it is today? Evan: We’ve also invested tremendously in inside sales and we see that as a big growth area. We think the buyers and sales people are comfortable communicating digitally. We’ve seen tremendous growth in territories where we had no representation on the ground, just by operating here out of our headquarters with an inside sales strategy. H: Wow that’s really interesting. For those of you that don’t know, inside sales usually means the rep doesn’t leave the office and is someone who is within the company. Comparatively, the other (and more expensive) one is field sales, who actually go out and see customers in their territories. So, I don’t know how many fashion brands or apparel brands are thinking about inside sales. How did that come about? Are you recruiting differently for that? Are they coming from apparel or other industries? E: In our case, they came out of our customer service department. They really knew the brand and the product and they aspired to make more money. And they had a great attitude, a sales attitude to them. Something probably easier to be born with than to develop. They had the charisma and the desire to sell. So, we invested in a CRM system and put some processes in place. We do have a lot of inbound traffic from customers that find us through our general marketing efforts and we need to convert these leads into actual loyal customers. A lot of what they’re working on is just turning around leads. And then we do collect leads at trade shows. They’ll work on that as well, but they’ll also spend time surfing around the web and looking at different new business opportunities we might have. And they’ll travel maybe twice a year, that’s it. They could go to a trade show and see some customers in their territory and they’ll plan a weeklong trip to see some customers as well. We hear from the customers they really don’t need to be bothered more than that. That’s why we’re here. H: I agree. The buyers are as much strapped for time as are the sellers. E: Let me also say this is not the death of the outside sales person. This is typically a breeding ground for someone to actually go out into the field. We have a strong outside sales force as well, but they’re using the same tools. They’re using the CRM system and they’re actually partnered with inside sales so that when an account needs to see a rep, the opportunity is handed to the outside rep to do it. H: How do you go about recruiting a sales leader or sales manager? The person who is in charge of delivering the dollars. It’s a tough role to fill, so how do you think about that? E: It’s not always a great sales person. In fact, I’ve had the conversation with great sales people that they might make less money if they just choose the management track. There’s two tracks, right? But some of them have the ability to be good mentors. They really need to not only be good sales people, but they need to lead by example. In a room, in a selling situation, they need to be able to show that they know how to sell. I would prefer to have a great sales person that can turn into a good sales leader versus someone that sits in their office all day and manages by process but has never closed a deal. I just don’t think that will work. The best sales leader is someone that can inspire others. Someone that is really externally focused. They voraciously read about the industry, they travel enough, and when they’re in new cities they stay in parts of town where our stores or our customers’ stores would be. They shop stores and look for opportunities. They have to be passionate about being externally focused and research, and the most important thing is they need to be a part of our culture or profitability. It’s a bottom line job and they have to hold people accountable to hit their numbers. And they have to manage budgets to make sure we’re not this old school just wine and dine company that never shows a profit. That won’t work. Want more insight from Heath and Evan? Check out next week’s blog post when they discuss the importance of going digital.